TOKYO -- Takata Corp. has shortlisted six or seven companies, including a competitor and private-equity funds, as potential financial investors to bail out the Japanese supplier, people involved in the process told Reuters. Japanese chemical maker Daicel Corp., China's Ningbo Joyson Electronic Corp. -- the parent of Michigan-based airbag maker Key Safety Systems -- and global funds KKR & Co. and Bain Capital LP are among the groups presenting detailed turnaround plans to Takata, eight people familiar with the process, including two directly involved, told Reuters. The shortlisting is a sign of progress in protracted efforts to restructure Takata whose faulty airbags are linked to the deaths of at least 14 people and have sparked the biggest auto recalls ever. As many as 30 had showed initial interest as of June in rescuing the company. Takata needs a financial backer to help overhaul its business and carry ballooning costs as its stock price has crumbled almost 90 percent since early 2014 and it faces potentially billions of dollars of liabilities over the sometimes deadly defects in its airbag inflators. 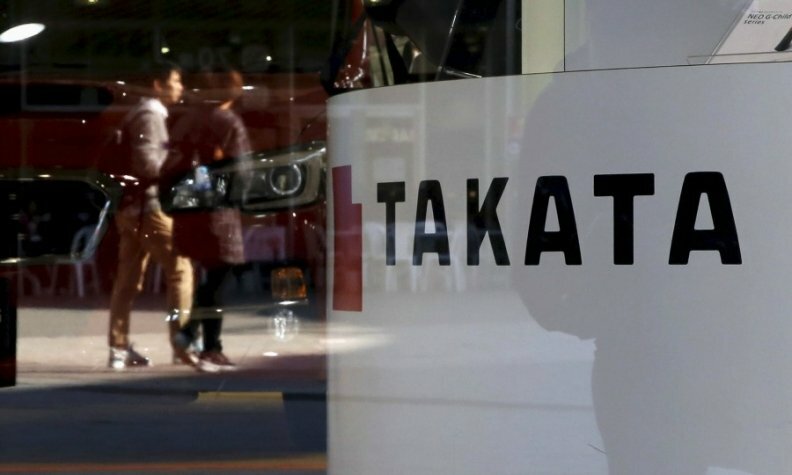 Takata and its steering committee, advised by investment bank Lazard Ltd., hope to narrow the list to about two final bidders by mid-September and choose a financial "sponsor" in October after consulting with Takata's car maker customers, several sources said. Representatives of Takata's steering committee, Daicel, KKR and Bain Capital declined to comment on the search for a rescuer. Ningbo Joyson has had no direct contact with Takata, but there may be information exchanges going on through an intermediary, said spokesman Chen Yang. The sources declined to be named because the process is private. Takata has not faced a reckoning as its air-bag liabilities remain unresolved. And many Japanese car makers depend on the supplier, one of the three dominant global makers of safety air bags, to keep supplying the recalls and provide competition. "Keeping Takata alive is important for automakers to maintain their bargaining power," said SBI Securities auto analyst Koji Endo, adding that some investors might find its non-inflator businesses attractive, given its depressed share price. Recalls of Takata airbags began in 2008, when inflators in the bags began exploding with excessive force, spewing sometimes lethal shrapnel into passenger compartments. More than 100 million vehicles worldwide have been slated for recall to replace Takata inflators, which in addition to the deaths, are linked to more than 150 injuries -- mostly in the U.S. and involving Honda Motor Co. vehicles. Car makers have borne most of the recall costs so far, but if Takata were found to be solely responsible for the fault, it could face a bill of more than $10 billion, based on a rough calculation that each replacement kit costs around $100. It also faces U.S. lawsuits. The October deadline for finding a backer was unrealistic due to uncertainties over its growing liabilities given expanding recalls and lawsuits, some of the sources said. A big challenge in the Takata rescue will be reaching consensus among the supplier's more than 10 automaker customers over a restructuring plan, as they are likely to have different ideas of how important it is to keep Takata afloat, said SBI analyst Endo. Some potential sponsors want Takata's automaker customers to forgive a hefty portion of the recall costs or take a stake in the company, several sources said. And some would-be investors want to put Takata through bankruptcy to wipe out some of its liabilities, they said. Takata's banks, too, may face pressure to forgive debts, one source said.